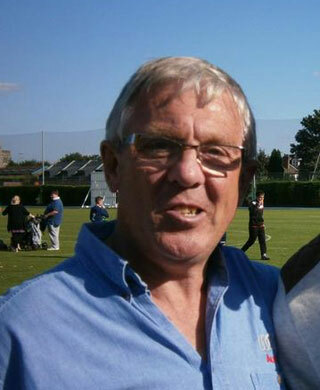 Striker Keith came through the youth ranks at Watford and became their youngest ever player when he made his debut as a substitute aged 16 years and 125 days old. He had a strike rate of better than one in three over eight injury hit years at the club. Now living close to his final club Blackpool, Keith spoke to Watford Legends in 2008. Hi Keith. Tell us how you came through the youth ranks at Watford to make your debut. I moved to Watford when I was 12. I had to take a day off school to make my debut away to Tranmere. I remember Tommy Lawrence, ex-Liverpool, was in goal. Unfortunately we lost 1-0. I remember a Mr Harrowell, a Blackpool director, said to me before the game to remember who you see on the way up, as you will see them on the way down. I will always remember that. Basically he was telling me to remember my roots. I was sub that night and came on for the last ten minutes. I nearly scored, and got a severe telling off for nearly kicking Tommy Lawrence. I was up against Ron Yeates – he was like a man mountain. But obviously he was not as quick as me!! I was more excited than nervous. I was told that my parents could not come because they could not afford it. Unbeknown to me the club had paid for them to come up on the later train. I remember after the game as I was coming off the pitch, I looked in the directors box to see them beaming. That was great. I stayed with my parents in Liverpool for a night and we came back the next day. How did you find the young Graham Taylor? Terrific. The best manager I have ever worked with. I saw him about two years ago and I still called him Boss believe it or not! I thought to myself – I’m nearly 50 and still calling him boss! He just smiled. It was in the press box at Blackburn. It’s nice when you see old colleagues. I bumped in to Martin Patching not so long ago. When you think of the managers I played for, Graham Taylor was definitely the best. He also had Bertie Mee helping him who was a nice guy. Who were your mates when you were at the club? I was head apprentice and under me I had a young Luther Blissett and another man called Peter Tuffill who left the club and went to Northampton. We were good mates then. He played on the right wing and provided goals for me. Also a chap called Guy Bristow. We had a good youth team then. I remember we did well in the South East Counties Cup. We had Mike Gatting playing for us who went on to play cricket. He scored the best own goal I’ve ever seen. He hit a backpass really sweetly from about 30 yards! Could you see the raw talent in Luther Blissett? No, to be honest. He was very fast, like me, didn’t have lot of skill, like me, but was very willing. Like me. Luther never really got his chance until I left the club. And he just went on and on and on, which was great for him. I knew that AC Milan wasn’t for him as it’s a different type of football. He’s a nice lad and I haven’t got a bad word to say about him. I do feel that it could have been me if I hadn’t done my knee when I did. But then again, I wouldn’t have been the same player if I didn’t go in for tackles like I did. How do you think you would get on in today’s game with your aggression? Somebody asked me that not long ago. I said no, I’d get sent off every game! I still have so much enthusiasm for the game and it annoys me that you don’t see people get stuck in like they used to. How do you feel about the state of the game now? It annoys me that there is so much money in it. And that makes me question whether players now have any incentive to go out and win. We used to make up our money with win bonuses and crowd bonuses, and I don’t think today’s players have to worry about that. Are you still in touch with anyone? No. It’s great to see people when you bump in to them, but football moves in such a way that people become acquintences. 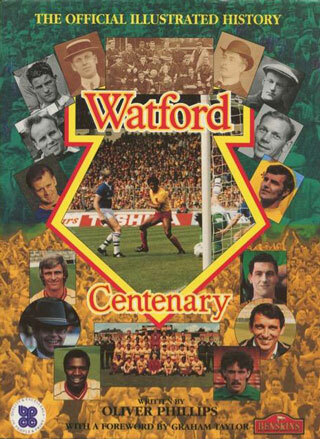 The last time I really spoke to anyone was at Watford’s centenary in 1991. Gary Johnson, who is the Bristol City manager was in the same youth team as me. I remember when Bristol City played Preston last year, I went to their team hotel and asked Gary to sign an autograph on an old picture I had of out him. He wondered where I had got it from. Then he realised it was me. He shouted “F****g hell, it’s you Merce!” It was great to see him again. You got a bad knee injury. We were playing away at Colchester. The ball came in from a corner. I volleyed it and scored. As I volleyed it two players caught my knee. 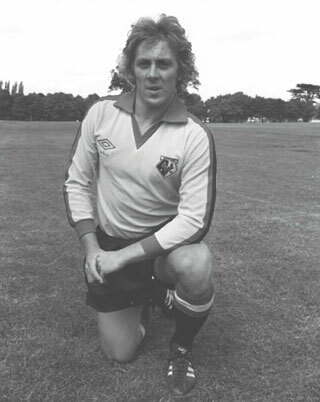 One of the players was Steve Dowman, and the other was John Williams, who played for Watford. I was out for seven months. I went to Southend and had a great three-and-a-half years there, and even won a championship. I signed for Sam Ellis at Blackpool, and then my knee just went. And that was it. The end of my career at 28. I still feel bitter about it now. I still haven’t really come to terms with it. I feel like I’ve been deprived. So from finishing football to now, what have you been up to? When I finished I got a job as a sales rep, selling promotional items such as calendars and pens. But my knee got worse and I had to get a job where I was sitting down all days, and that’s why now I drive a taxi around the village. I’m going to carry on with the taxi, unless I win the lottery!